Privacy is of great importance to anyone. When you hand your phone to someone for a while, there may be a possibility that the person will change preferences or go through your personal data. The solution for this issue is “Guest mode”. A guest mode is a built-in option in android 5.0 devices. 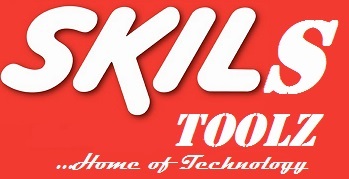 Let’s see what is it, how to enable it on latest devices and add it in older model devices. What guest mode actually does is it shows the fresh installation of android to users and no one can see your personal data. In simple words, when you switch to guest profile, the phone doesn’t have your preferences, installed apps, or any of your personal data. It just shows the fresh installation of your android and the data which has been saved in the guest mode will get erased when you switch back to your Google account. Next time, when you hand your phone to someone, you can enable the guest mode and protect your privacy. The following are the steps to enable guest mode on android 5.0. Drag the notification bar and tap your avatar twice. Click on the “add guest” to enable guest mode on android. Now, select your Google account. That’s it. It should be successfully reverted back to your profile and the data of the guest mode got erased. As mentioned earlier, Guest mode is a built-in feature of android 5.0 devices. 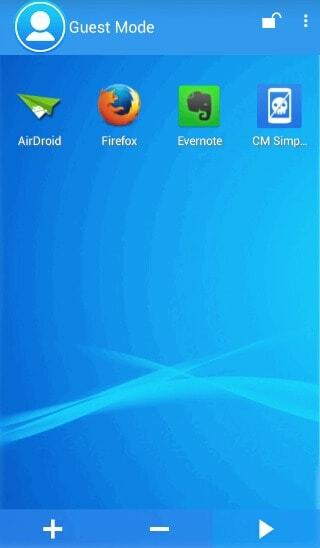 If you are using older model devices, then you can get this feature with the help of android apps. 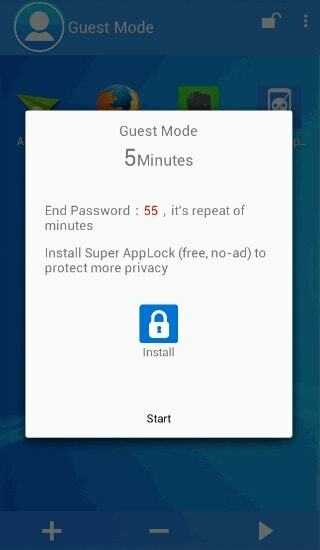 Here, we are going to see the android app called “Guest Mode – AppLock Privacy” which will help us to have the guest mode in our android device. You can download it from HERE. This app needs some improvements. But, it is close to the guest mode feature. This app allows you to select apps [these are the only apps that can be accessible in the guest mode] and assign a predefined time for the guest mode. So, when you enable guest mode, only the select apps can be accessible by the others within the time you set. Let’s check it out all the steps to use the app in detail. Tap the + button at the bottom. In the next screen, you can select apps. Once you selected apps, click on apply button. Click on the play button to enable guest mode. In the timer, set the minutes you want to assign to the guest mode. Click on start button twice to enable guest mode. If you want to stop, swipe down notification bar. Click on the guest mode notification. Now, give the password [the password is generally the repeat of the time you set]. If you think this article was useful, share on WhatsApp, twitter. Facebook and other social media.